I recently visited Temecula Valley for a weekend getaway. 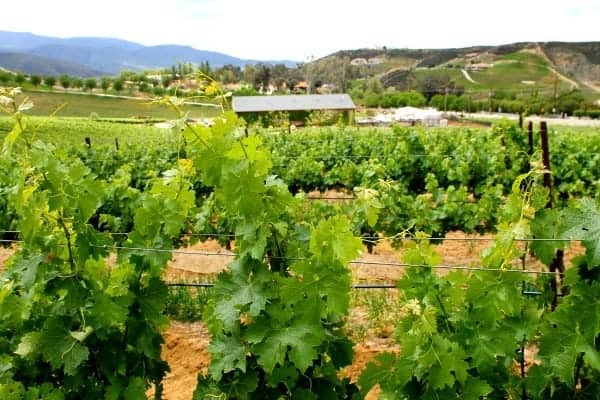 Temecula Valley is home to many restaurants, spas and events, but it is widely known for its wine country. 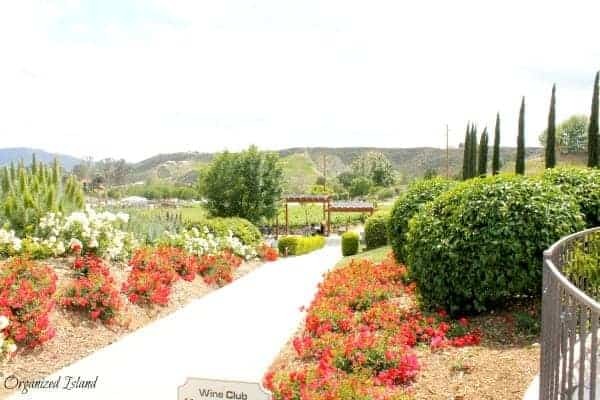 Temecula is not far from Los Angeles and Orange Counties and is a great place to spend a weekend. I received a complimentary wine tasting and tour last month and want to share my experience with you. We visited the stunning Leoness Cellars, which sits atop a hill overlooking lovely views of their 20 acres of vineyards. Leoness, which literally means, “village of dreams” is truly a lovely setting for wine tasting. The moment you arrive, you know you are in a special place. The winery is nestled in a picturesque valley covered with grape vines. The main entrance of the winery leads you to a welcoming tasting room. This tasting room was warm and inviting and spacious. 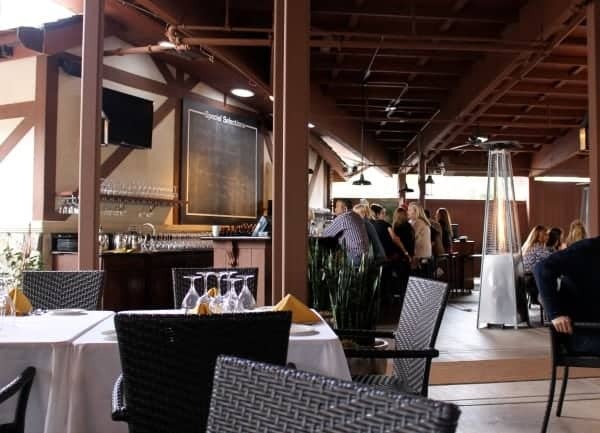 People were enjoying the wines the moment I entered.Their is also a nice gift shop and the windowed doors will draw you into a patio area and The Restaurant. 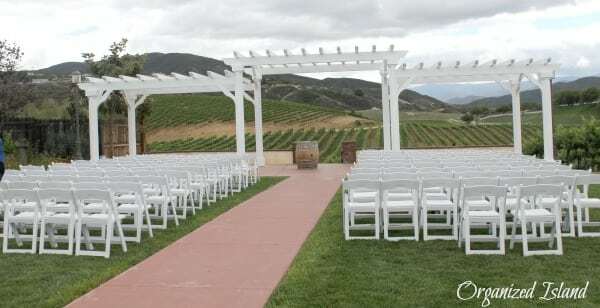 Nearby, there is an outdoor area for weddings and events that overlooks the vineyard. We tasted our first wine right here on this spot. It was a lovely limited edition Rhone-style blend. There is nothing like sipping wine surrounded by beautiful grapevines. Our tour took us through the vineyards and our guide provided extensive information on the grapes, the region and the winemaking process. She also explained how Leoness uses French and American oak barrels to preserve the nuances and flavors of the wine. We strolled around the paths at the winery enjoying the views. 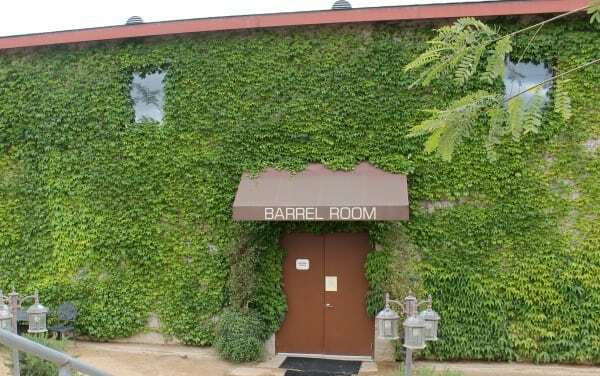 At the bottom of the hill stands an ivy-covered Barrel Room which also offers private and public tasting tables exclusively for wine club members. 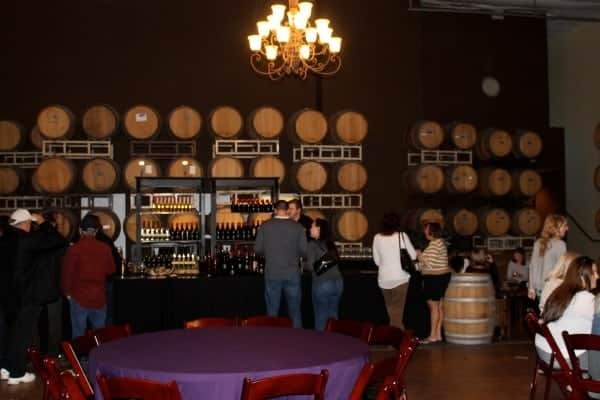 The Barrel Room is lined with oak barrels and the soft lighting and music set an incredible stage for tastings. It is a beautiful place for wine club members. A few of my favorite wines I tasted that day included the 2010 Limited Selection Nine, a lovely Rhone-style blend comprised of Syrah, Mourvedre, Cinsaut and Grenache – delicious! But it was the 2010 Cabernet Sauvignon that had flavors of boysenberry and blackberry which I really loved. In fact, I enjoyed this vintage so much that I purchased some to take home. We also both loved the 2006 Cisaut Dessert wine which was a tasty bold and fruity port, offering hints of chocolate and cinnamon. Um, yes, we took some of this home too! 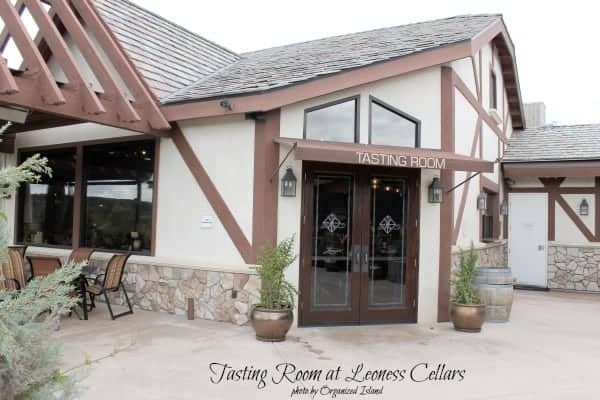 Leoness Cellars offers some exciting events such as Painting in the Vines, a time where one can paint while enjoying cheese and wines in this beautiful setting. They offer tours and tastings daily. I highly recommend spending a few hours to visit them. 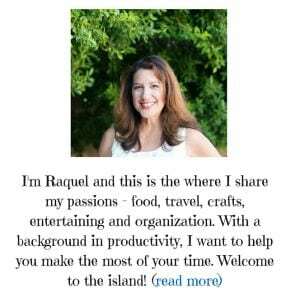 They also have specialty tours and events. Their Touch the Vine Taste the Wine tour offers you the opportunity to be driven around the vineyard and, as you roam around, you can taste the grapes right from the vines and then enjoy the wine that matches each grape you taste. I love this idea and hope to do this during late summer and fall (when the tour is offered). They also have a Hot Summer Nights Concert series during the summer. Please note that tours require advanced reservations. As if that were not enough, then there is The Restaurant. Beautifully set near the patio, the outdoor restaurant was a nice casual atmosphere and a great place to pair Leoness wines with some wonderful food. I tried the Beef Marsala with Rigatoni and it was absolutely delicious. Try the french fries, they are available in six different varieties and the variety with melted gorgonzola was amazing. 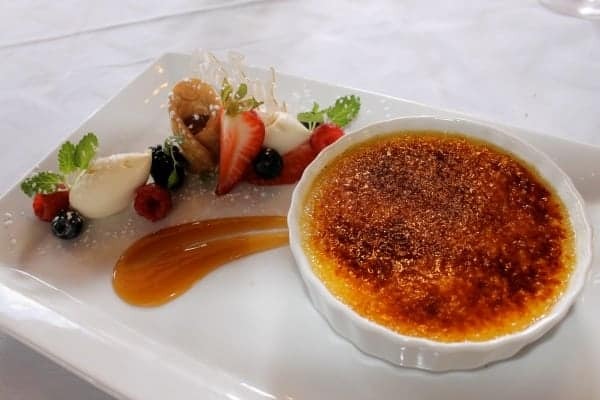 The Restaurant has won several awards and was named Temecula Wine Country’s best al fresco dining experience as voted by Inland Empire Magazine – 2013. 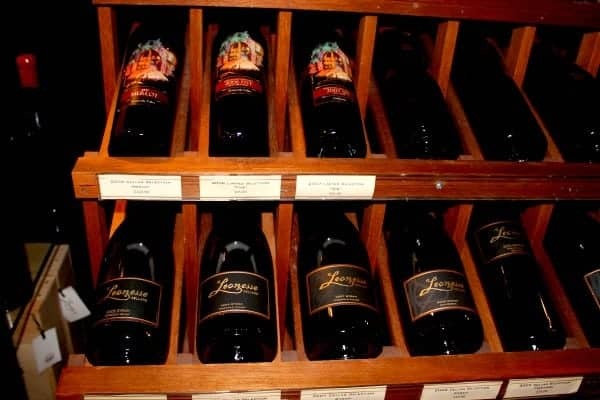 Leoness offers tastings of 6 wines for $15 (Monday – Friday) and $18 (Saturday – Sunday). They have some wonderful tastings and tours daily. Talk about a great way to spend the day. If you are a wine club member, tastings are complimentary. 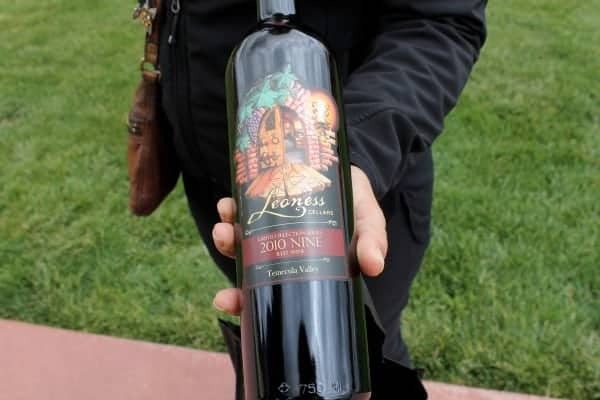 Discounts are available and you can get much more information on the Leoness Cellars website. I had a lovely visit and would like to thank our tour guide and Leoness Cellars for the wonderful hospitality. Follow Leoness Cellars on Twitter and Facebook for happenings and information. 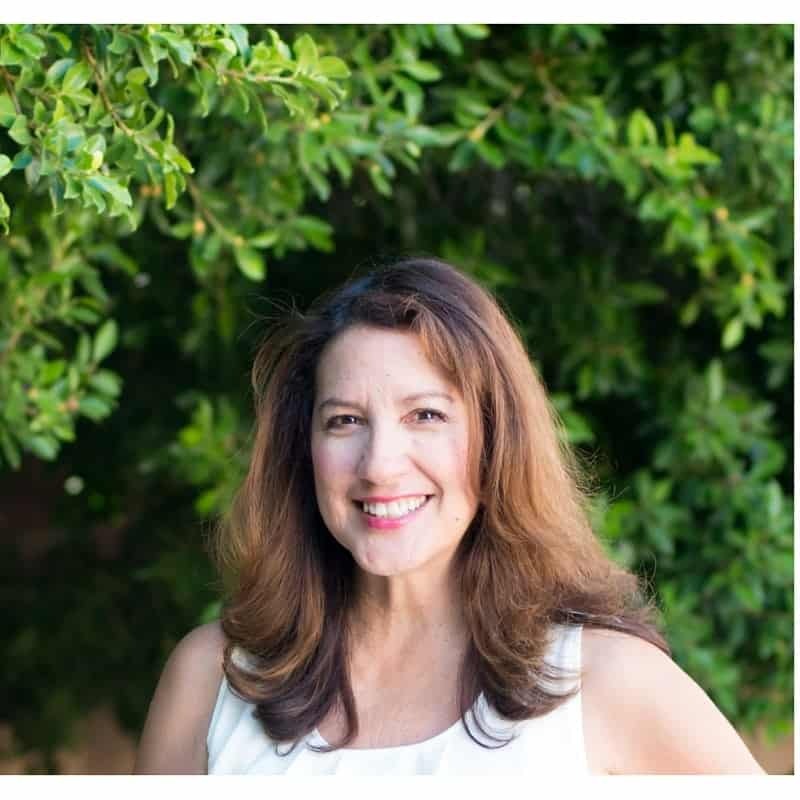 Have you heard if Leoness Cellars? Or maybe you have been there? My first time at Leoness Cellars was for a SCLB Meetup!! This is where I met Carolyn, Sidney and Megan for the first time, and the gorgeous scenery was spectacular. It was also my very FIRST California winery visit, and well.. you know what’s happened since. LOL. Oh how wonderful Jamie! I did not know that there had been one there! I KNEW it was a special place but had no idea! It is an amazing winery for even more reasons to me now! What a fabulous place to visit! Looks like my kind of day to have fun. Thanks for sharing. It is a great place for a fun day! Thanks for stopping by Debbie! This place looks beautiful. What amazing views. Especially the wedding set up. I have yet to visit a winery and I enjoyed your description. I am so glad you enjoyed the “visit” Letty! It was just beautiful and so relaxing. Michelle, it was so pretty there! I know what you mean Danielle…it was a wonderful setting and indeed, hard to leave. I so want to go there! That Beef Marsala with Rigatoni looks awesome. The food was amazing Debbie! WOW. Looks like a BEAUTIFUL place. I want to go now! It was amazing Ashley! You would love it!